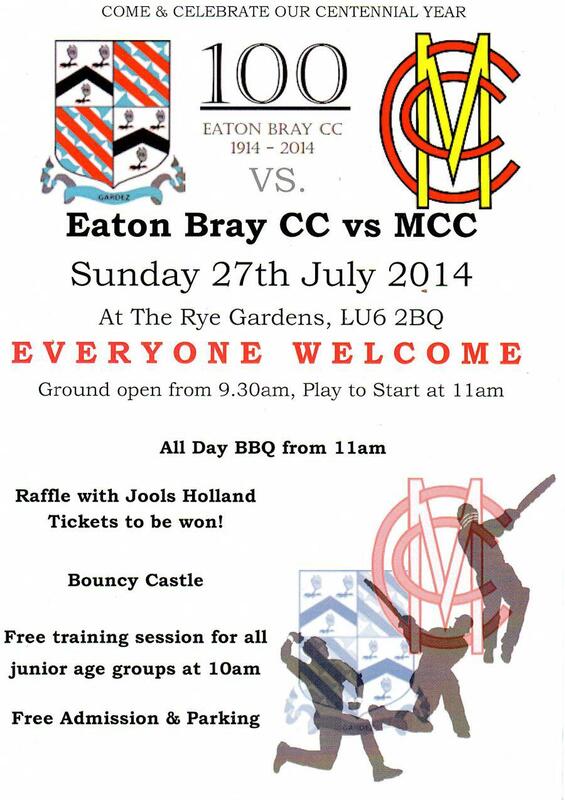 Archives of Eaton Bray News for July 2014. This article was published in July 2014. Please see Latest News for more recent information. that due to the resignation of Robert Coulter, a vacancy has arisen in the Office of Councillor for the Parish Council. If by 4 August 2014 (14 days excluding Dies Non, after the date of this notice) a request for an election to fill said vacancy is made in writing to the Returning Officer at the address below by TEN electors for the said Parish, an election will be held to fill the said vacancy, otherwise the vacancy will be filled by co-option. If an election is called, it will take place not later than 7 October 2014. While we're working to minimise disruption to local services arising from the strike action, particularly those which protect the public and support vulnerable people, you should be prepared for some level of disruption. Services such as leisure centres, pest control and bin collections, which are operated by contractors will continue as normal and we anticipate that appointments for things like registering births and deaths will not be affected. Residents with appointments will be notified if this changes. Some services, including our customer contact centres may be subject to delay and you may want to consider getting in touch with us another day if your query is not urgent. Schools in Central Bedfordshire will have their own procedures in place and will contact families directly to let them know about any full or partial closures. Schools will also notify the council of any closures and that information will be regularly updated on our website from 5pm on Wednesday 9 July. Parents and carers can sign up for updates on schools closures by visiting our website. We will be regularly updating our website with details of how the strike action is affecting services and will also be posting messages on social media. For the latest updates go to our website, Twitter or Facebook pages. Central Bedfordshire Council is one of 78 local authorities to sign up to a standardised survey that will ask members of the public exactly the same questions, whether they live in Central Bedfordshire, Cornwall or Cheshire. The survey, which is being run for the seventh year, enables local councils to compare results, share in best practice and identify opportunities to work together in the future. The questionnaire will be sent to a minimum random sample of 3,300 Central Bedfordshire residentsthis month, followed by a reminder, with local and national results to be published in early October. Since the survey is based on a sample, residents that receive a copy are being urged to take part. The results will enable us to find out what people in this area think about these important services. This will provide one of several ways the council can assess how it is performing and which services to prioritise, and to improve. Cllr Budge Wells, Deputy Executive Member for Sustainable Communities, Services, said: "Our roads are among the best in the country according to latest government figures which show that the proportion of roads needing repair in our area are among the lowest nationally. "But we don't want to stop gathering evidence that could help us improve further. There are clear benefits to conducting a public survey in this way. As well as providing excellent value for money, it also enables everyone involved to identify areas of best practice and spot national, regional and local trends. It is about understanding customer views better and working together to deliver the most satisfactory yet efficient outcomes for local residents." Did you comment on the Gypsy and Traveller Local Plan? All consultation responses and supporting evidence regarding Central Bedfordshire Council's Gypsy and Traveller Local Plan were submitted to the Secretary of State last week (Monday, 23 June 2014). The most recent consultation ran from 17 February to 31 March 2014 and received more than 1,556 responses (plus a petition against Policy GT10 with approximately 2,800 signatures). All of these, along with responses received in previous formal consultations, will now be considered by an independent Planning Inspector appointed by the Secretary of State to determine whether the Plan is 'sound' and legally compliant. It is expected that the Inspector will hold a Public Examination this coming autumn. Individuals who made objections and sought changes to the document during the formal consultation and requested to attend the hearings will be invited to attend the hearing sessions to present their argument to the Planning Inspector verbally. For those who do not wish to attend the hearing sessions, the Planning Inspector will still consider their written comments and all comments, whether made in writing or verbally at the hearings, will carry the same weight. For more information about the Gypsy and Traveller Local Plan or to view the Submission documents please visit the Central Bedfordshire website. Alternatively, copies of the Submission documents can be viewed at the Council Offices in Chicksands and Dunstable during opening hours. You are viewing the July 2014 archive.